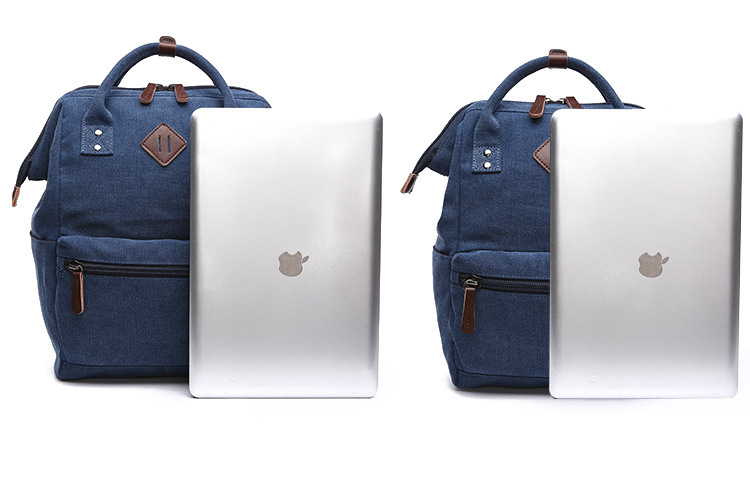 SPECIFICATIONS - the backpack design that can hold up to 14 inch laptop. 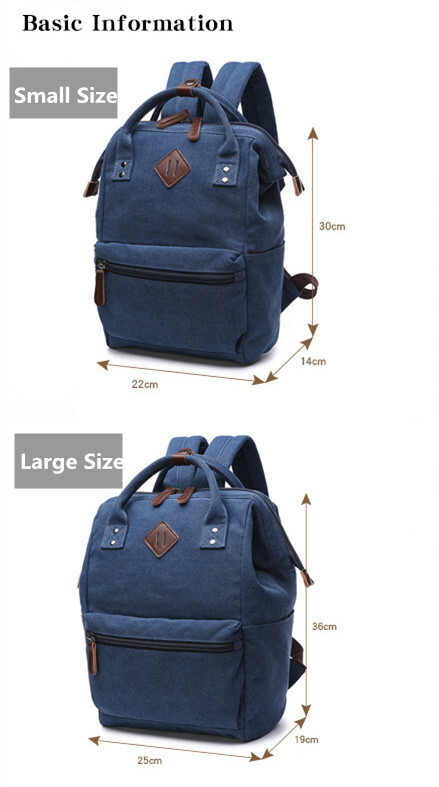 Item weight: 1.8 pounds. 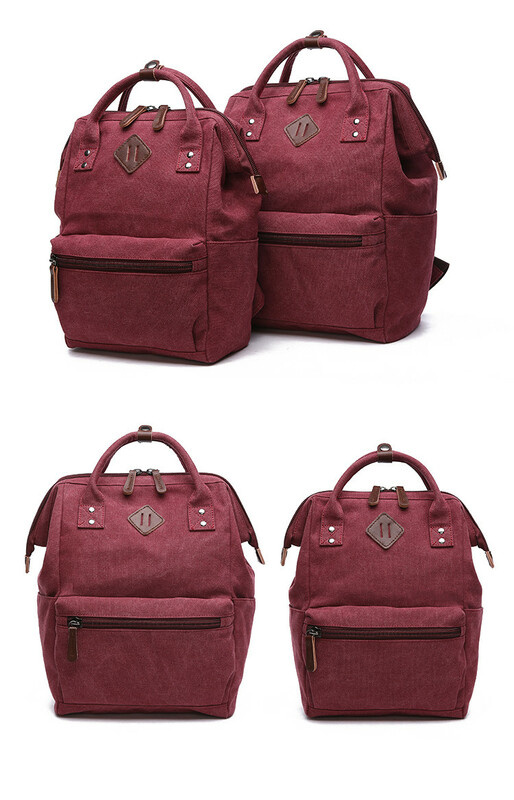 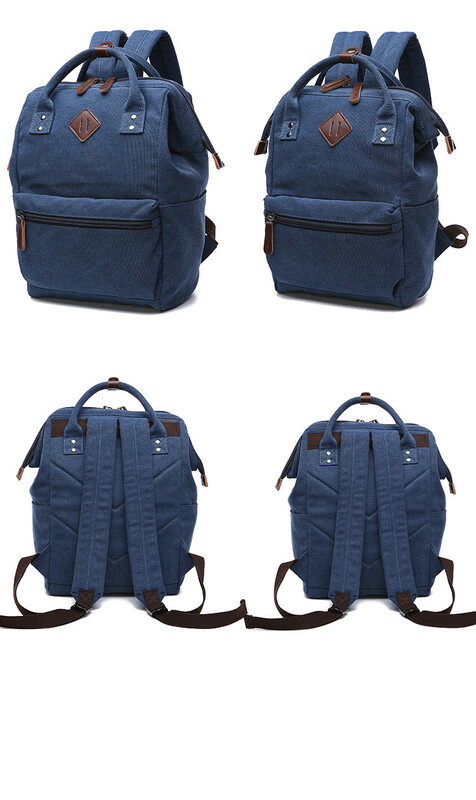 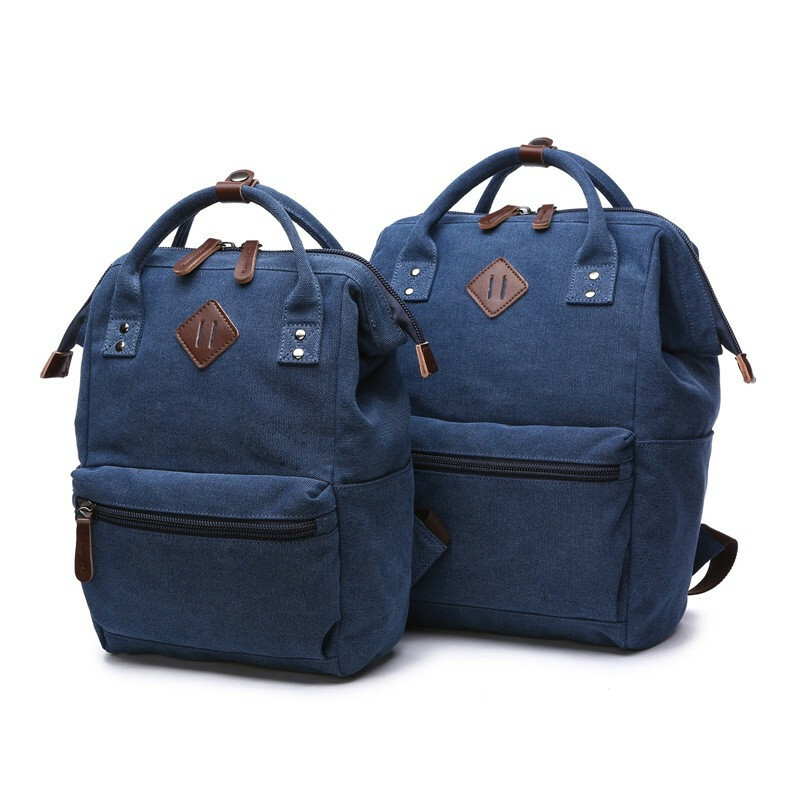 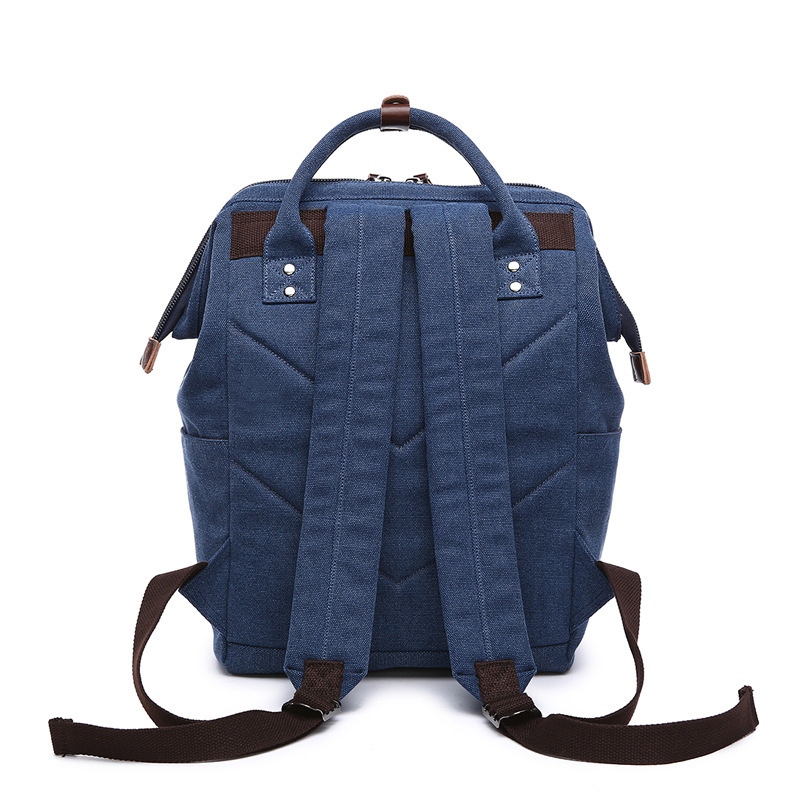 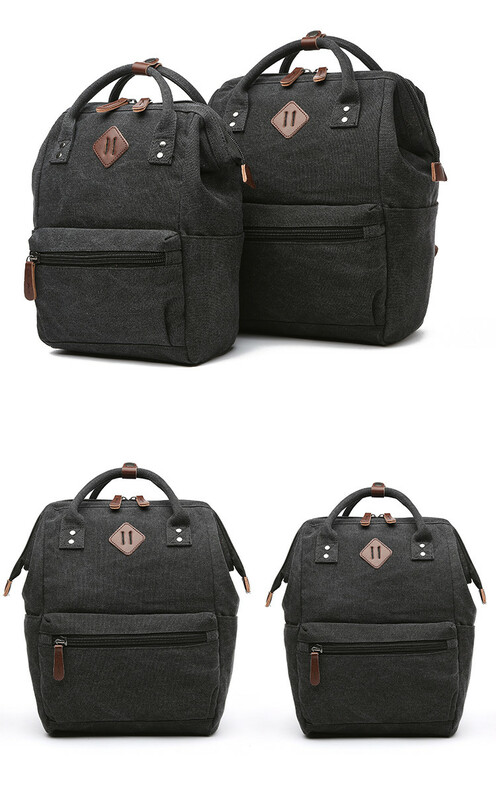 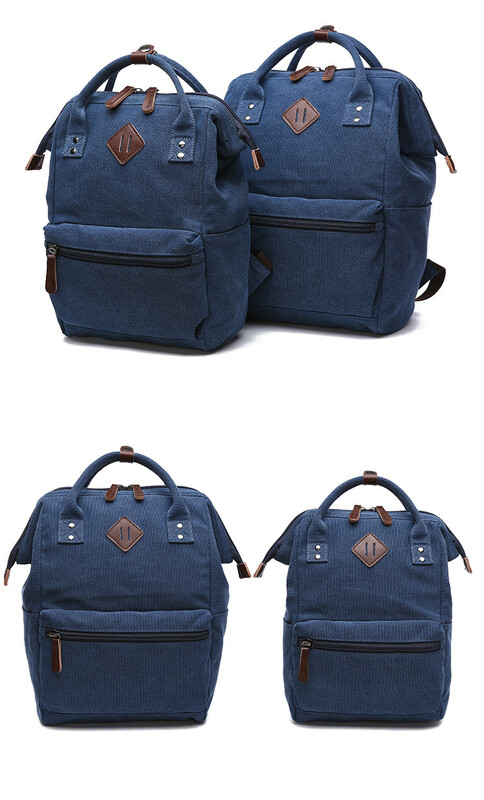 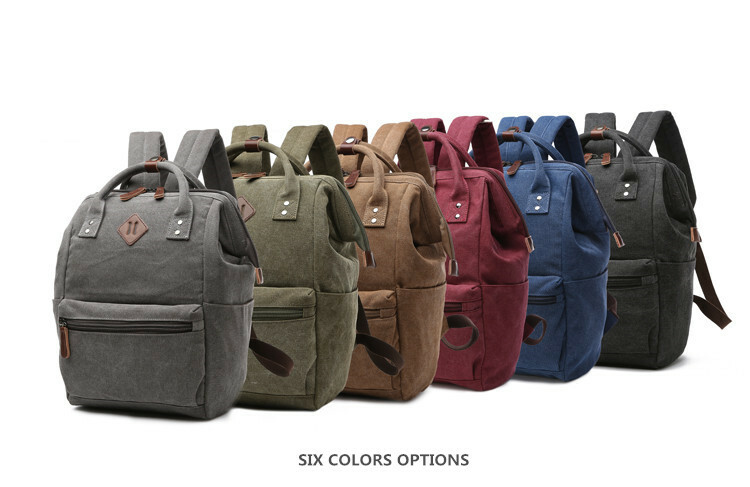 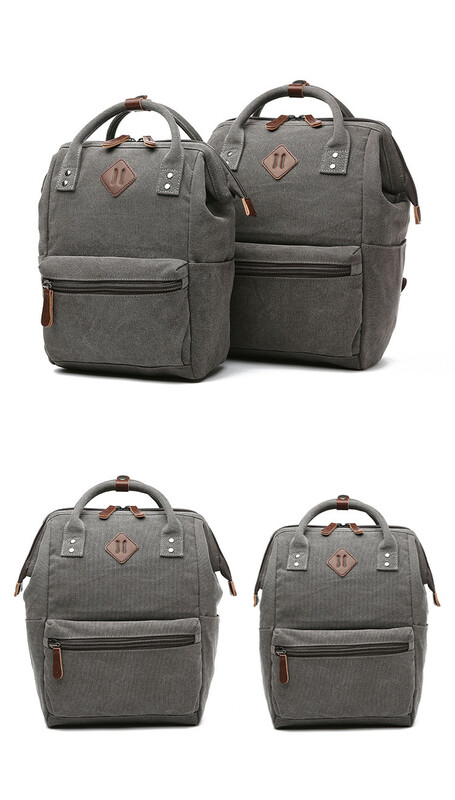 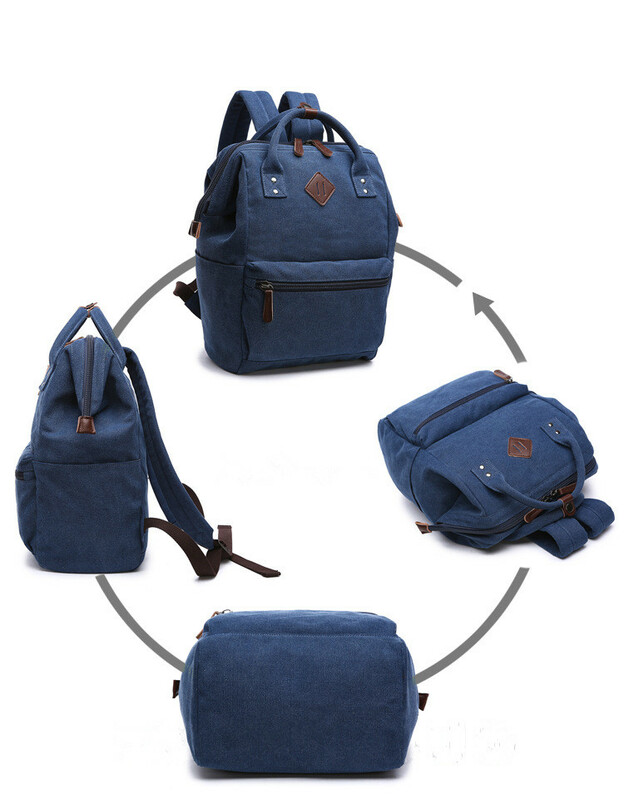 â€?MATERIAL - The backpack is made of 16 oz high density CANVAS and PU Leather. 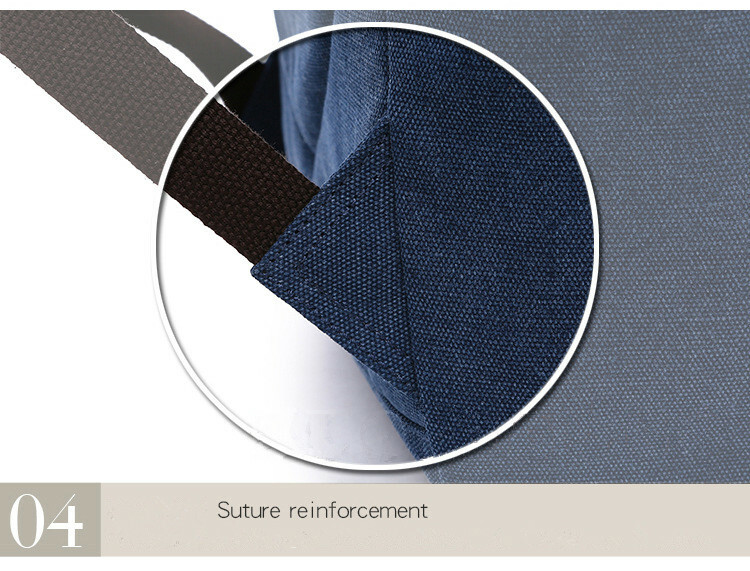 Smooth zipper and durable workmanship uniform stitch bring you more perfect comfortable experience. 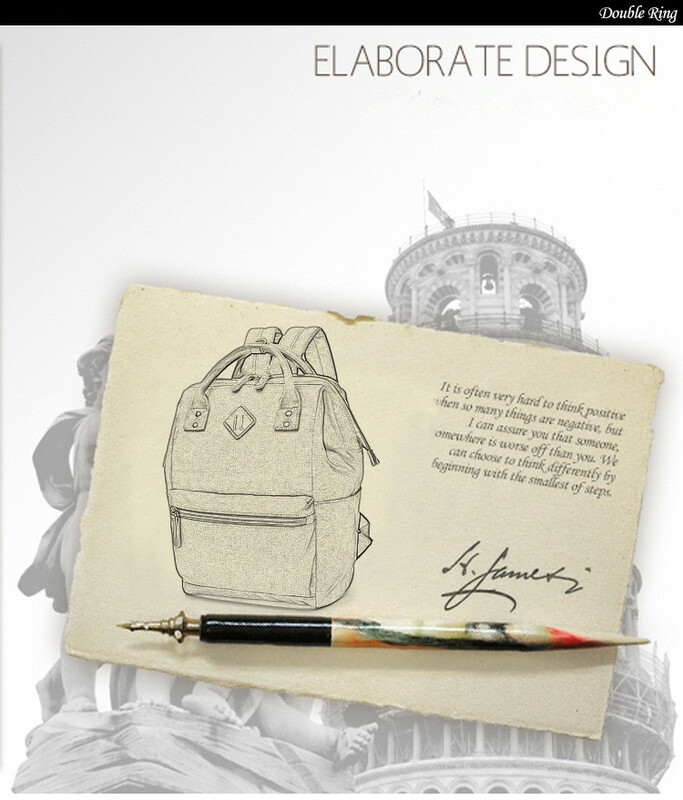 â€?HUGE OPENING DESIGN - A huge opening design on the top of the backpack that is able to fit in different size items. 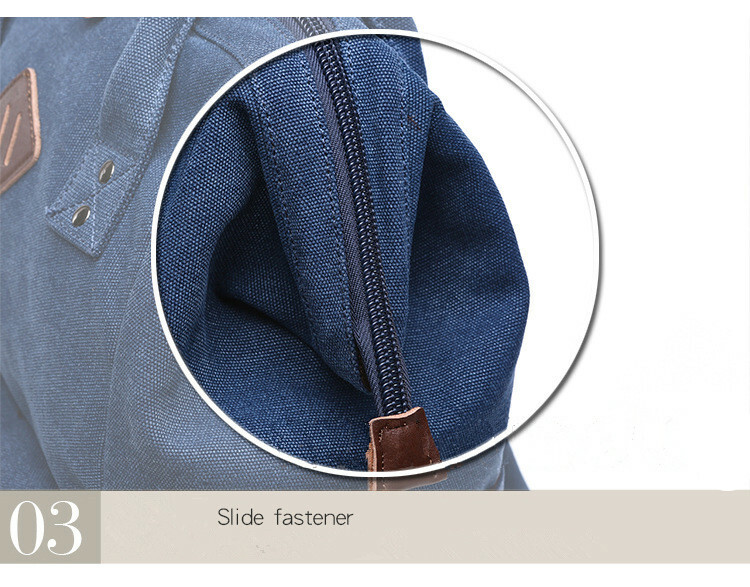 1 zipper pocket at the front and 2 open pockets at the side of the bag. 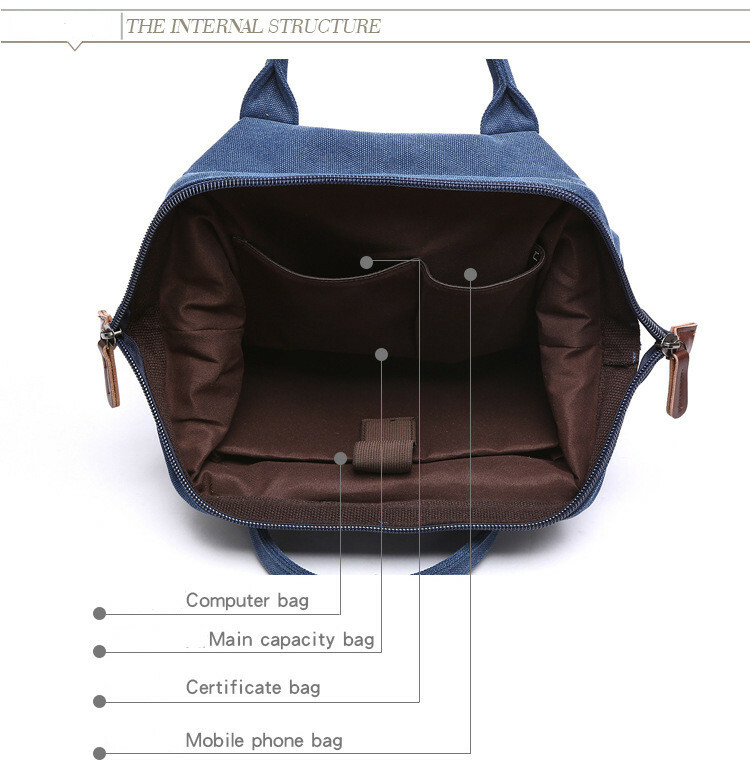 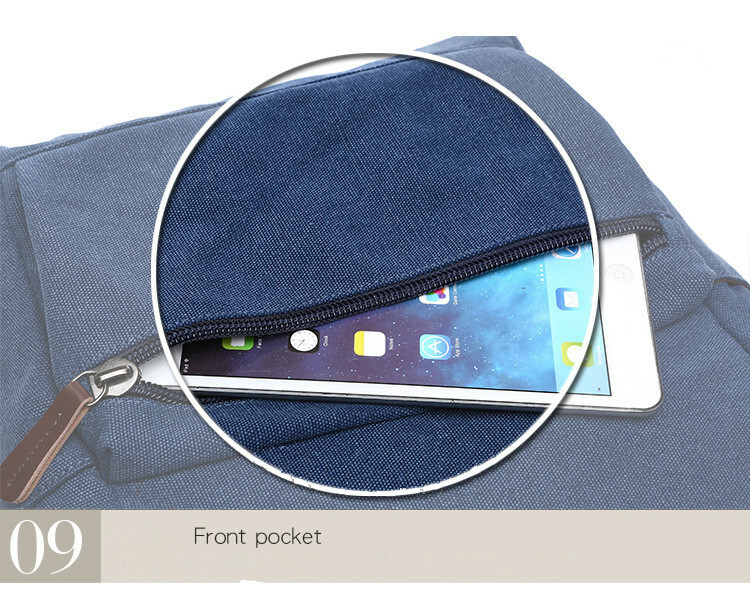 The interior of the bag comes with an iPad compartment and 2 open pockets that can hold your essentials for daily stuffs. 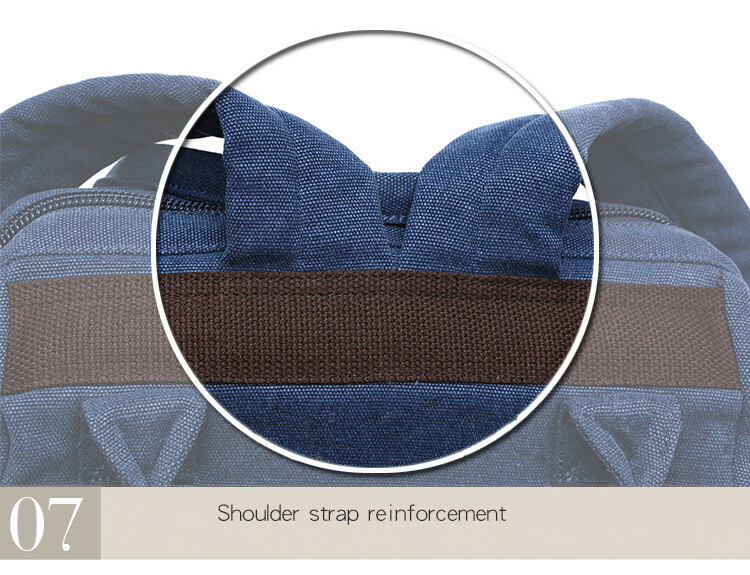 â€?MULTIPURPOSE - The backpack is designed to fit into multipurpose daily used. 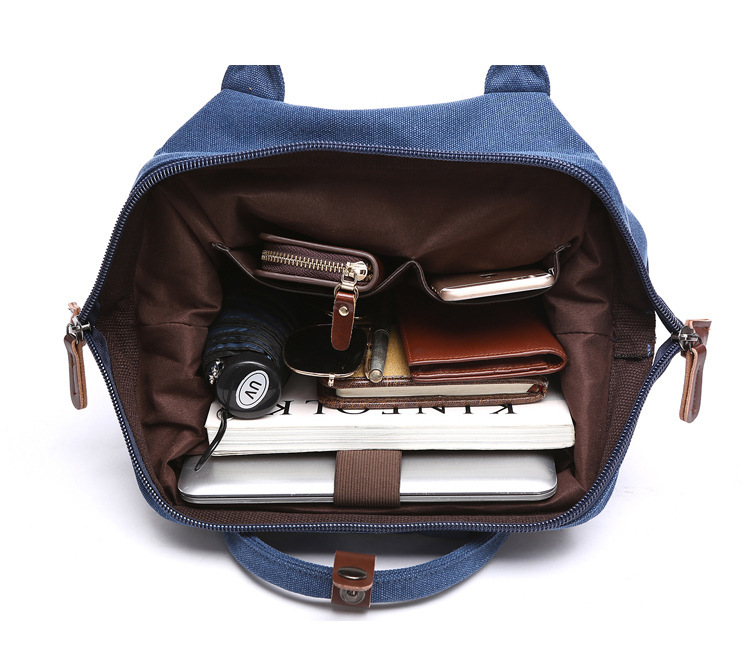 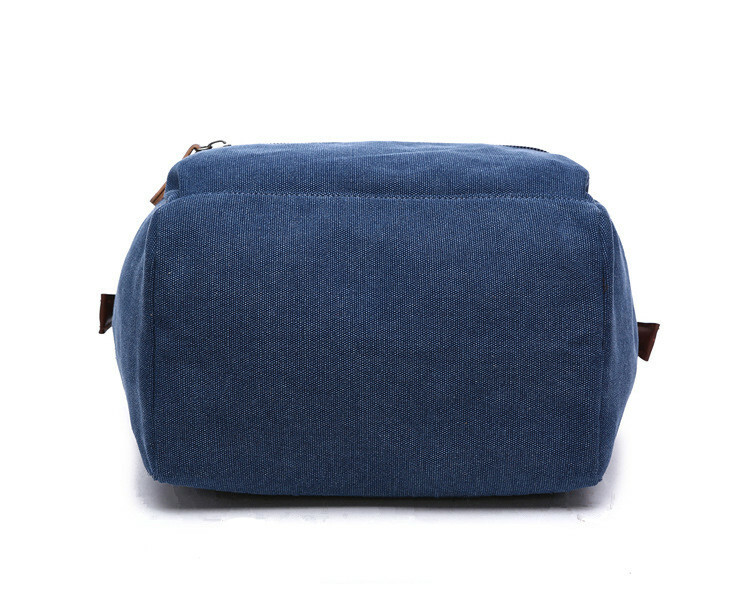 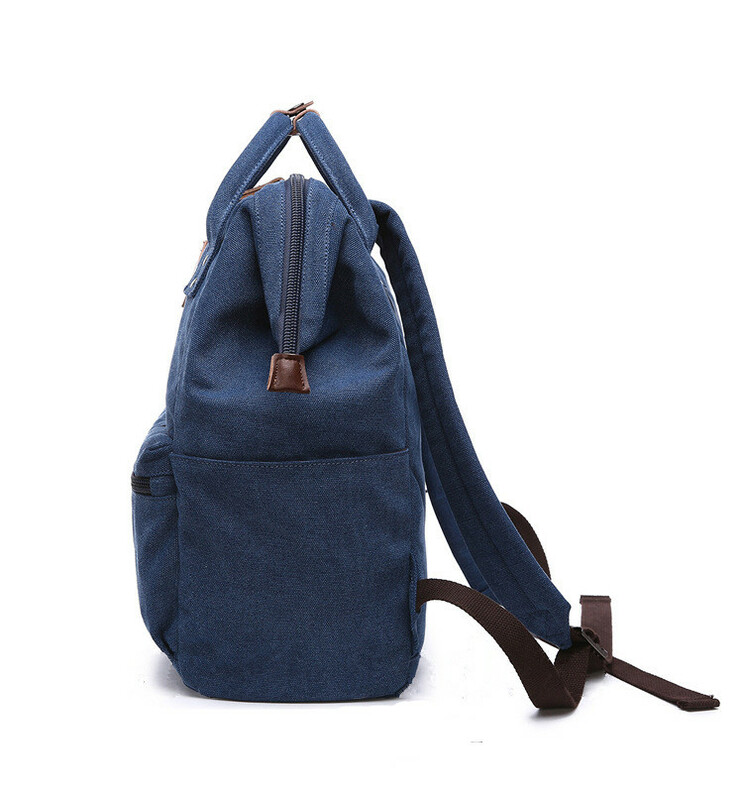 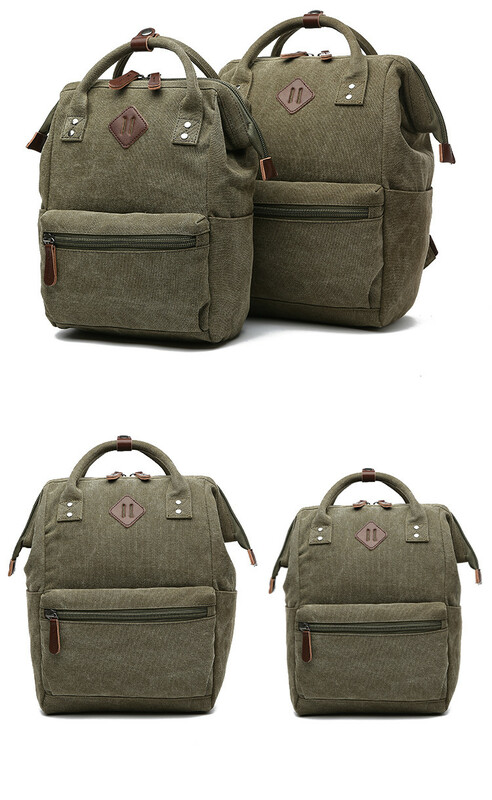 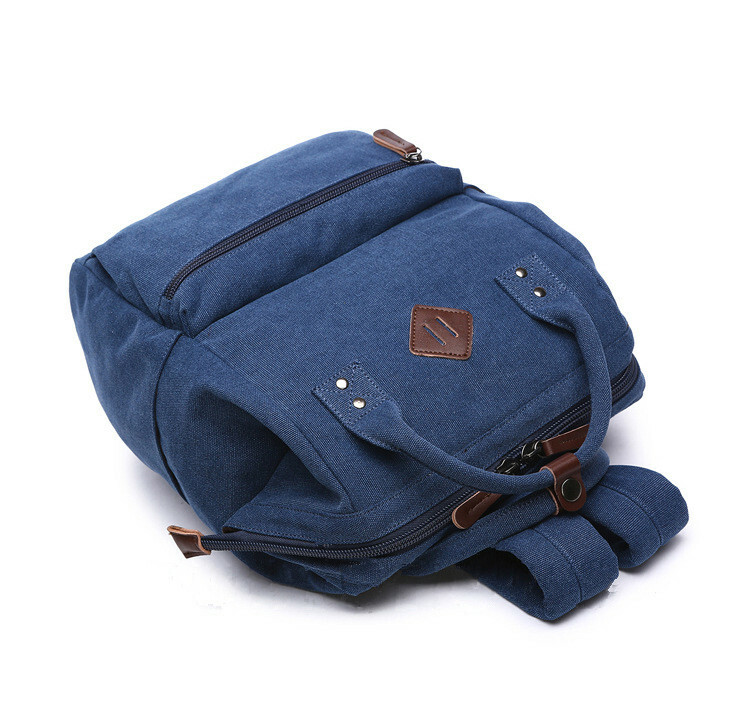 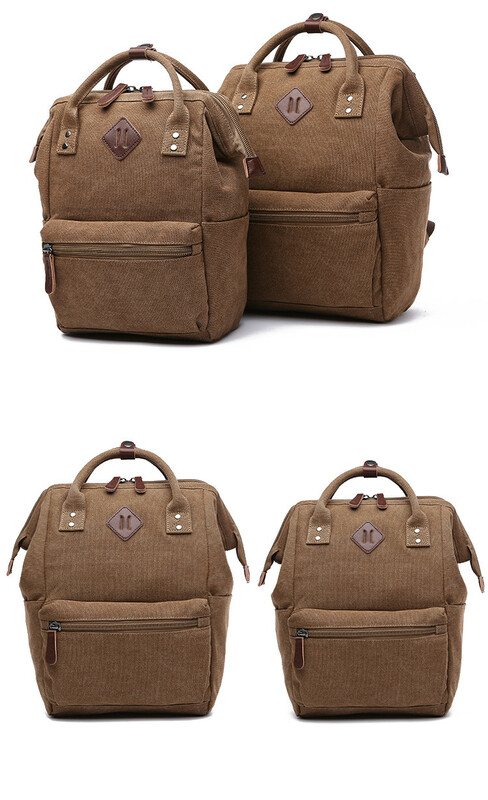 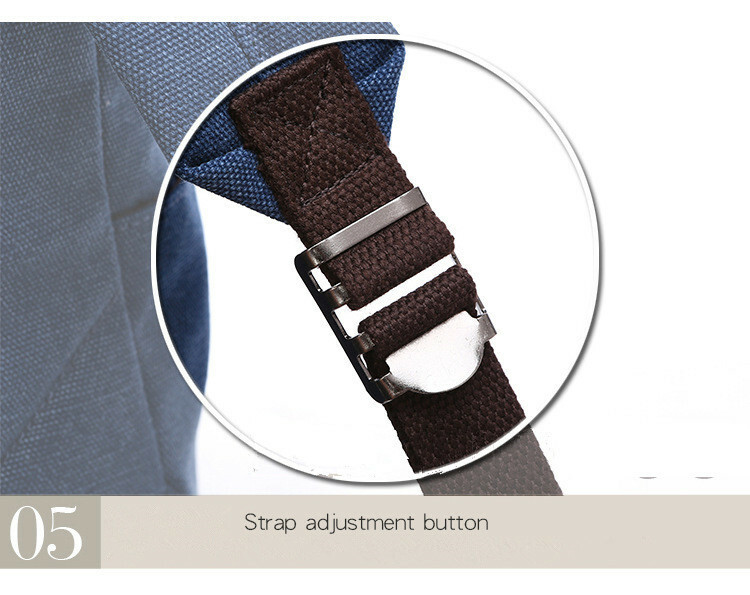 It is suitable for multiple occasions such as short traveling, hiking, schooling, working and others. 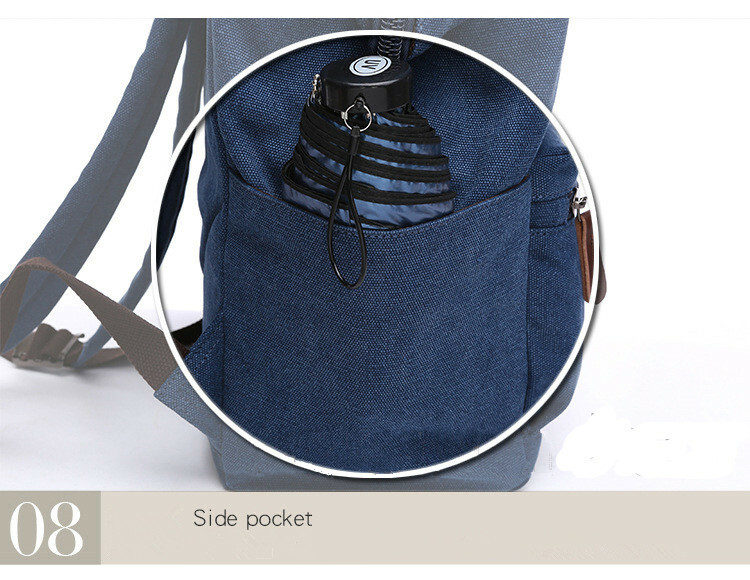 â€?CARRY THE WAY YOU LIKE - This backpack is designed to ensure 2 ways of carrying the backpack. 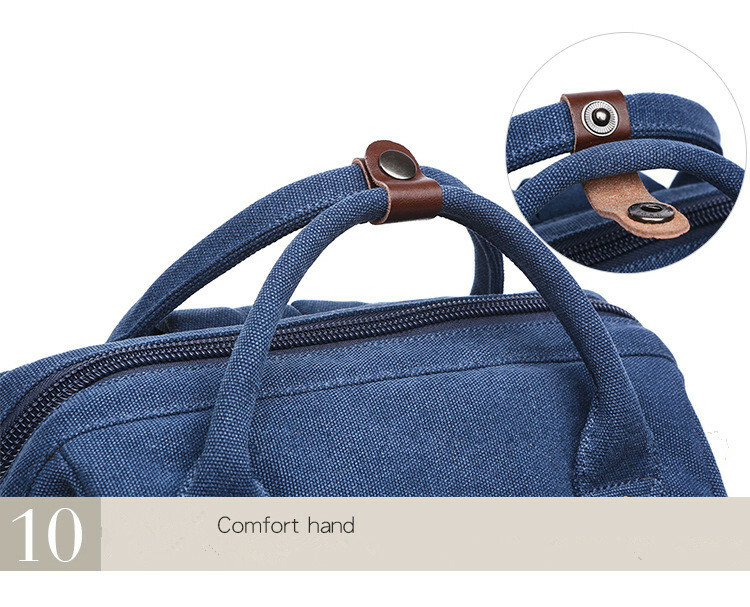 A pair of handle designed on the top of the bag to have people to hand carry the backpack when their shoulders are tired. 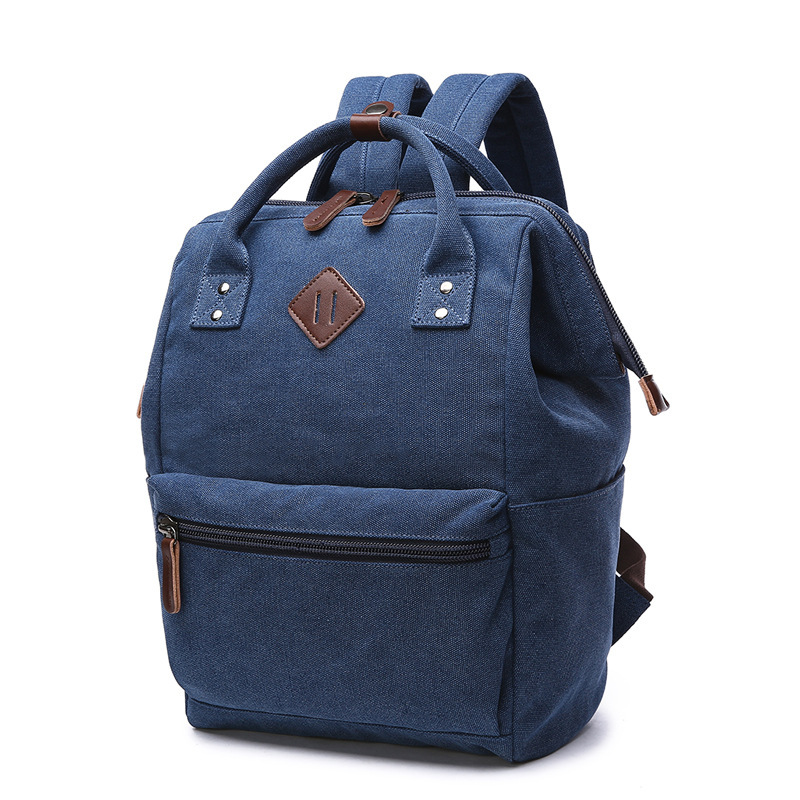 The backpack is also designed with ergonomic padded back design to ensure more comfort while you are carrying the backpack.